Polaroyd is an elegant and creative agency Bootstrap template with unique style and clean code. It comes with a very cool gallery as the homepage header. The navigation menu of Polaroyd template is also very unique and covers the whole page once clicked with a focus on menu items. This gorgeous template also can be used as personal portfolio for designers, startups, web design studio and photographers. 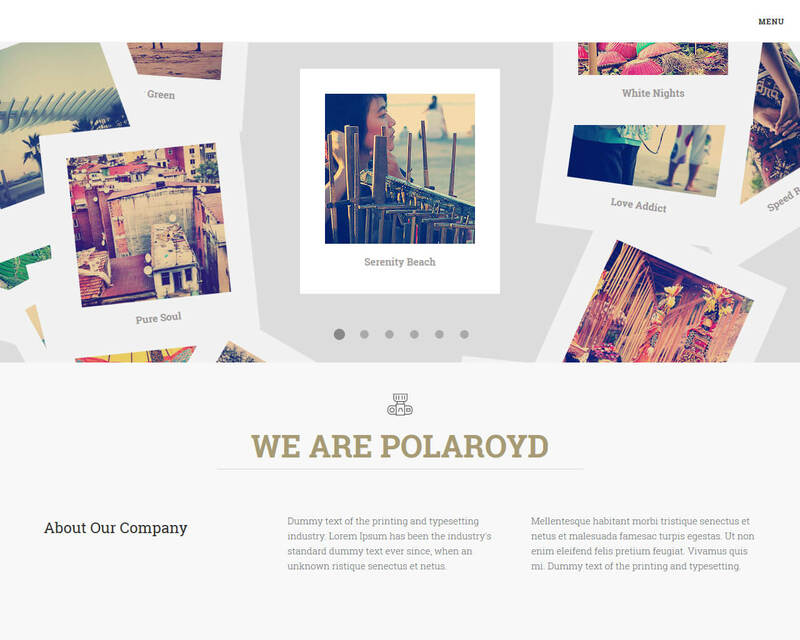 Polaroyd is multi-page template and comes with various ready page templates like: service, portfolio, team, clients, blog and more. It’s fully responsive and works very well on all mobile devices. The code of the Polaroyd is well structured and organized so you can customize and add your own content as quick as possible. Is you’re looking for a creative template with unique style then it’s no doubt that Polaroyd is just for you.